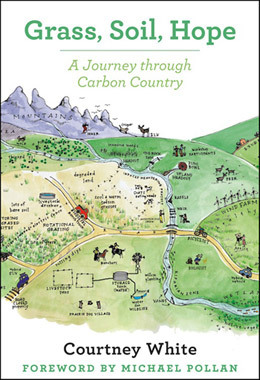 This is a condensed version of my blog The Carbon Pilgrim which ran from early 2012 to the end of 2015 and highlighted the many essential roles that carbon plays in life on Earth. The essay version here is a primer about carbon in all its glory — with photos! Its sole purpose is educational. Please share. This entire edition of the Green Fire Times is focused on the Quivira Coalition, its programs, and effects. 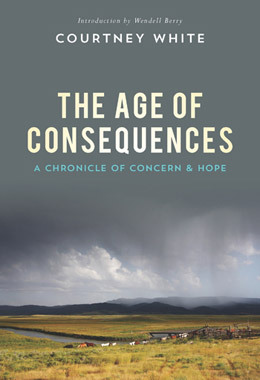 Articles include: New Agrarians: How the Next Generation of Leaders Tackle 21st Century Challenges; Kneeling in Mud: Conundrums of a Tree-Hugging, Cattle Ranching Human; Restoring Hozho: Building Bio-Cultural Resilience on the Navajo Nation; and The Agrarian Standard by Wendell Berry. 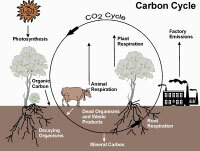 This essay explores the possibility of large-scale removal of greenhouse gases from the atmosphere through plant photosynthesis and related land-based carbon sequestration activities. Originally published as Chapter Ten of Revolution on the Range, this excerpt appeared in the journal Ecological Restoration, June 2009. An essay on how conservation might meet the challenges of the 21st century. Originally published in the Natural Resources Journal (Vol. 48, No.1), published by the University of New Mexio School of Law, Winter 2008. 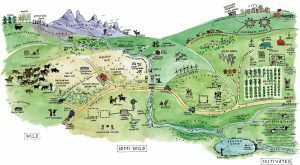 This essay examines the language of land health as a basis for collaboration. A rumination on our chaotic world and the ‘little normals’ that make life worthwhile. What would happen to the West if the price of gasoline hit $7 a gallon? It may not be as far-fetched as it sounds. Building on what we have learned from the Valle Grande Grassbank. An example of why the so-called ‘grazing wars’ faded away, thanks to ranchers like Duke Phillips. This essay explores a new vision for public lands based on collaboration and land health. A brief definition of a term that I coined back in 1997. Rethinking the conservation movement from the ground up. 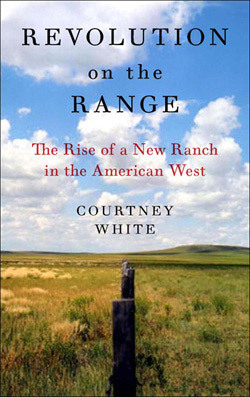 Twenty ranchers, scientists and conservationists wrote a declaration ending the grazing wars and inviting people to join the emerging radical center. Originally read at The Quivira Coalition’s 2nd Annual Conference, January 2003. Introducing our effort to build bridges between ranchers, environmentalists, scientists, and public land managers. Originally published in Range magazine, Winter 1999. In which we explain the purpose of The Quivira Coalition, the idea of the New Ranch, and debut my column “The Far Horizon”.